For Christmas last year, a family friend gifted me the most amazing thing I could ask for… in my opinion, at least! Yes, that’s a HUGE stainless steel prep table! And it’s all mine. Zachary was 2 days old and we were at the hospital with him, so our friend spent the day preparing the surprise… he even cooked! I got home and was in awe! The cutest part, the homemade “Britt’s Bakery” sign that the kiddos made. So cute! I finally had somewhere to put my stand mixer, which I kept having to carry back and forth from the pantry to the counter before! Let me tell you, it was a relief! I was so worried about dropping the thing. And of course, a new prep table meant that I was so excited about spending more time in the kitchen trying new desserts for the family. I couldn’t wait to create something yummy for the kiddos! 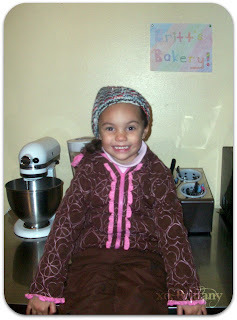 So, I went with something easy, fast and perfect for the cold weather… or anytime, really. 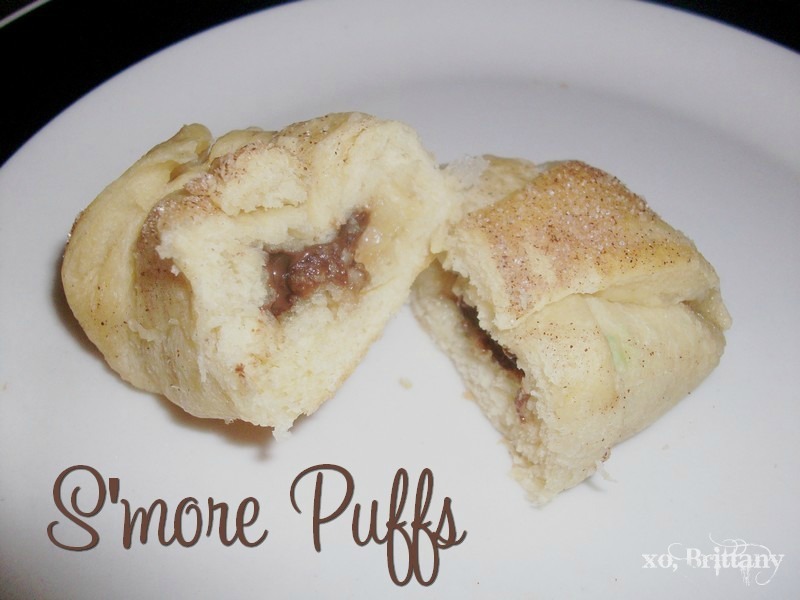 They’re so easy to make and so yummy! Especially with a cup of hot cocoa. I can’t stress how easy these are to make! When I found them on Pinterest, I was so excited. Also, make sure your oven is preheated to 350 degrees. 1.) 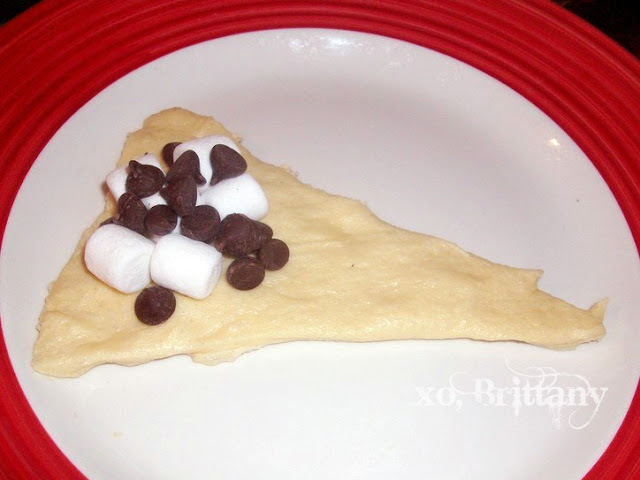 Unroll a crescent roll and place some marshmallows & chocolate chips in the center. 2.) 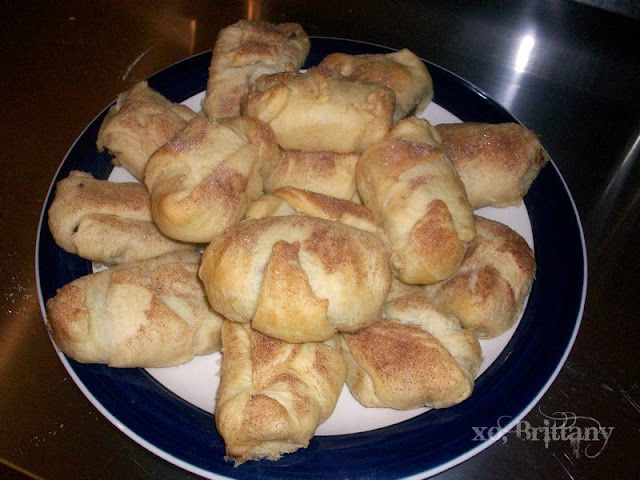 Roll up the crescent roll and pull up the sides. 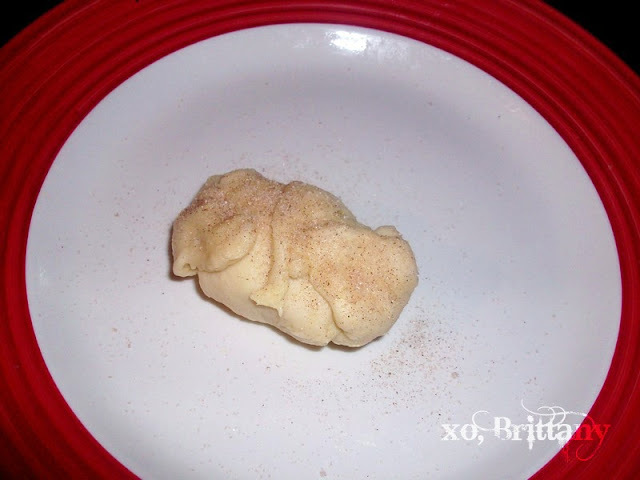 Then sprinkle cinnamon & sugar on the top. 3.) 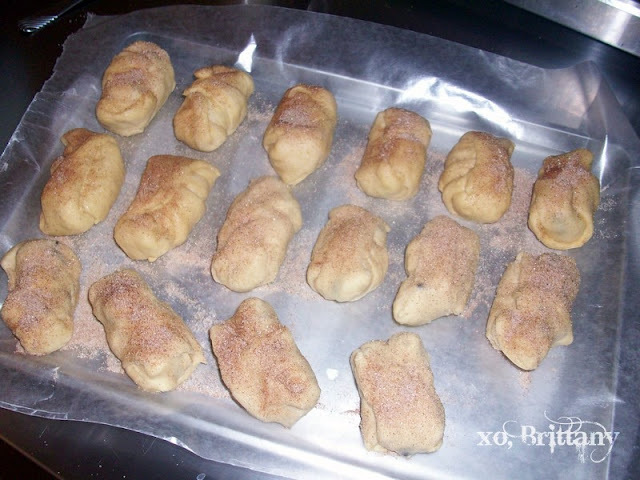 Line them up on a cookie sheet covered in wax paper. 4.) Bake at 350 degrees for 12 to 15 minutes. 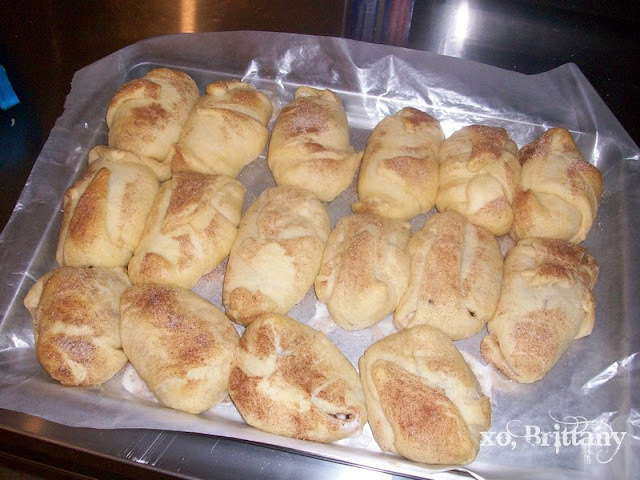 When done, let them cool for about 5-10 minutes. 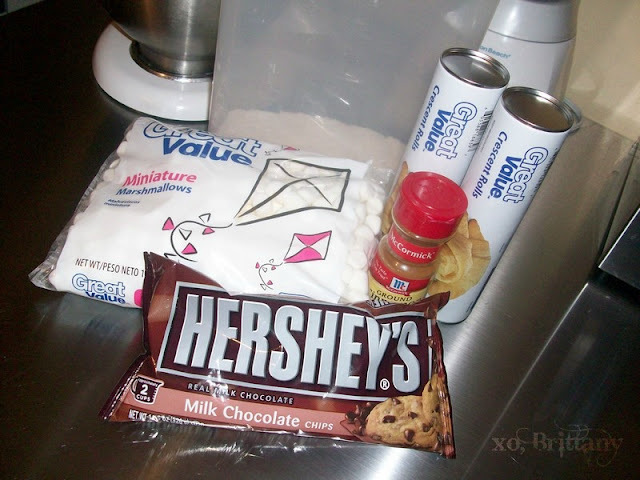 Share the post "How To: Make S’more Puffs"
These really look yummy! I love marshmallows and chocolate.